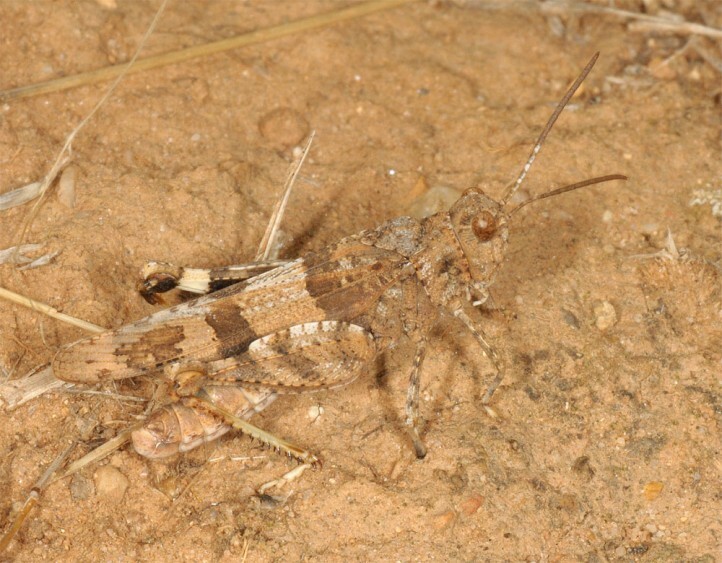 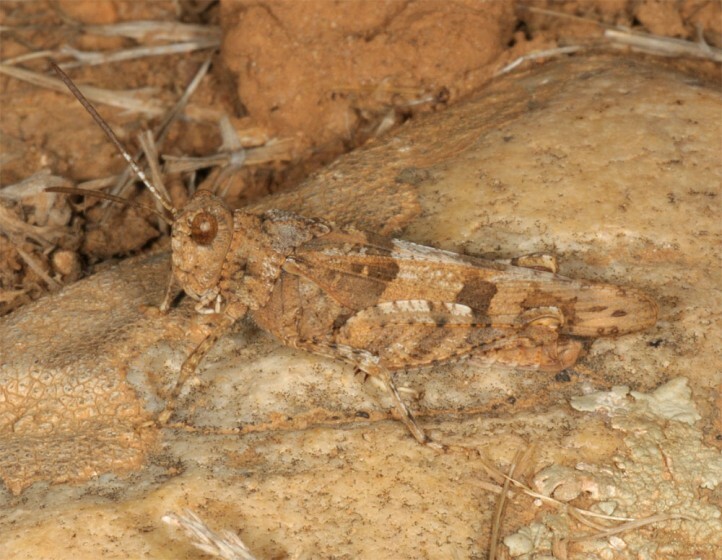 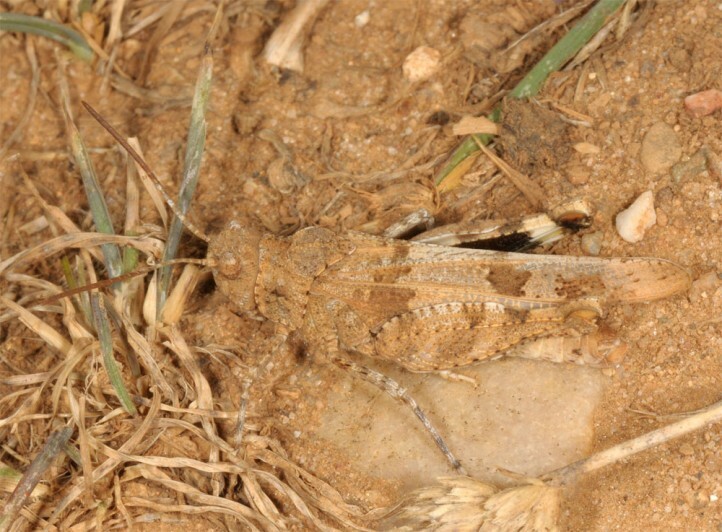 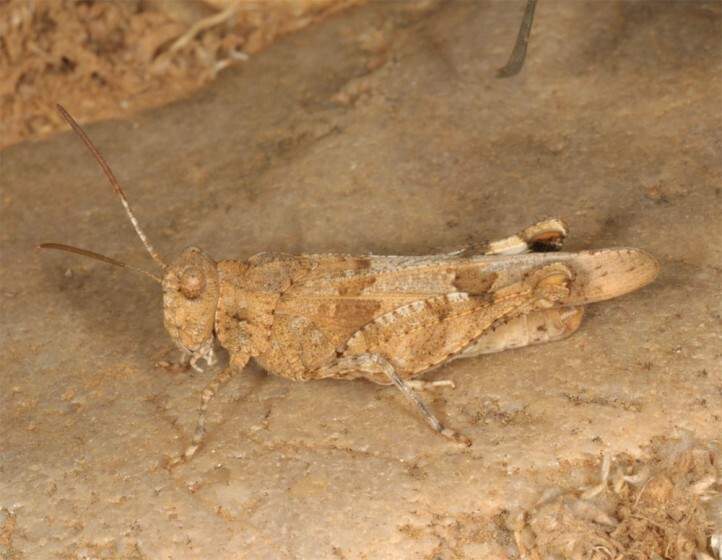 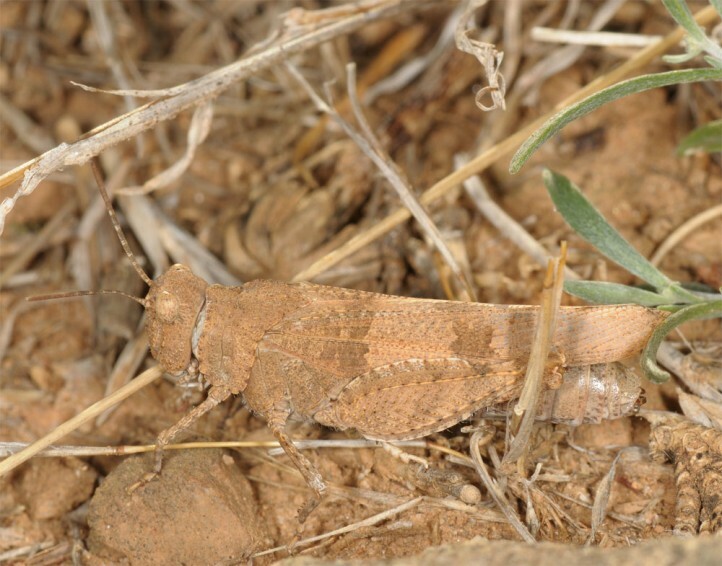 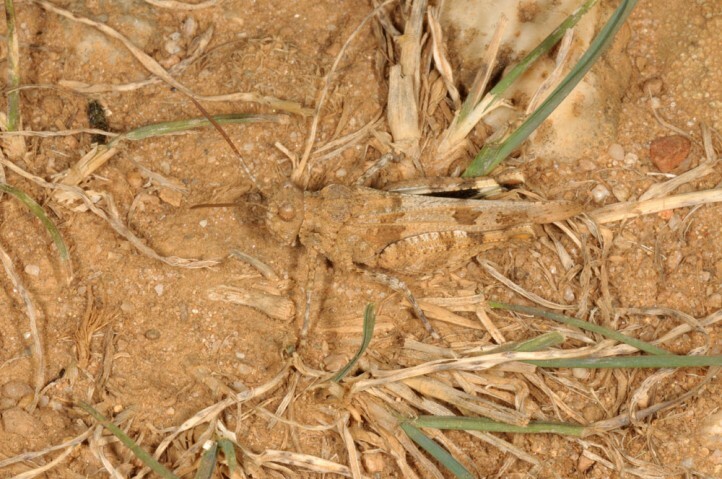 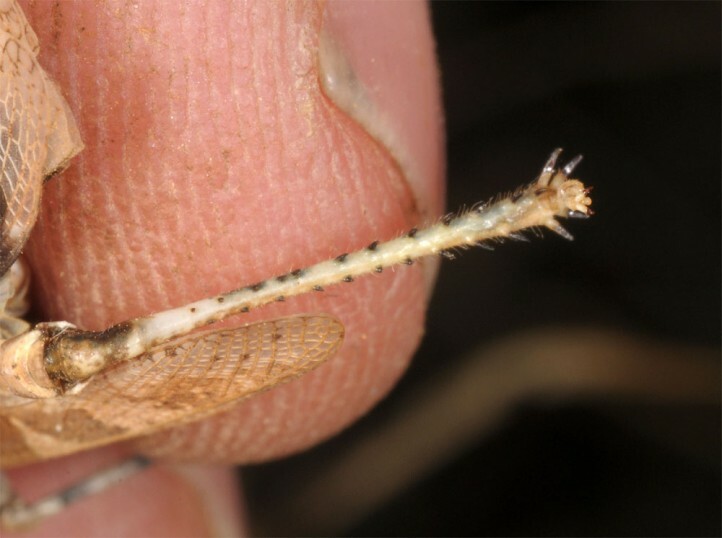 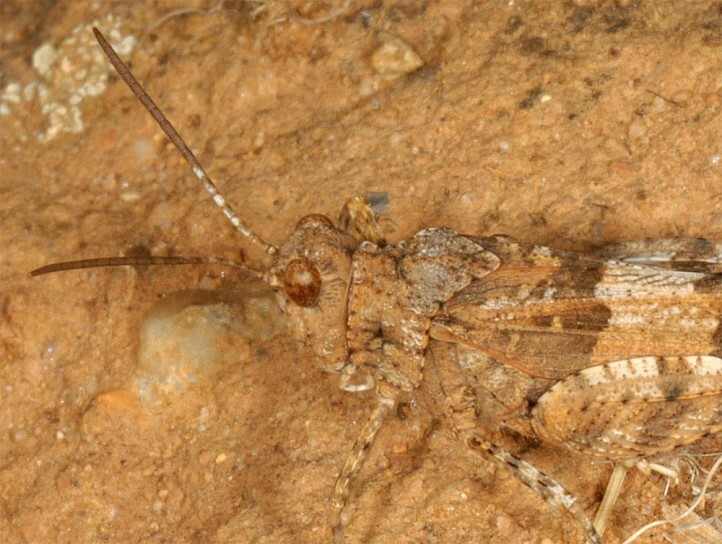 Oedipoda charpentieri inhabits dry and hot areas with large areas of open soil or rocks. 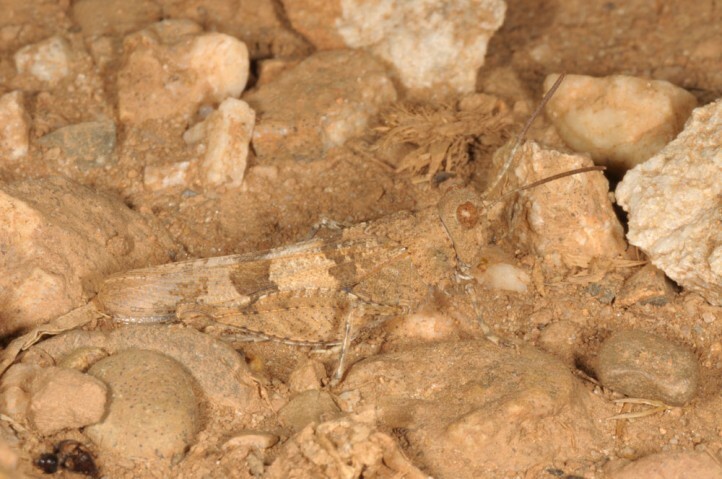 It is usually found in the lowlands below 1000m, in S-Frande below 600m. 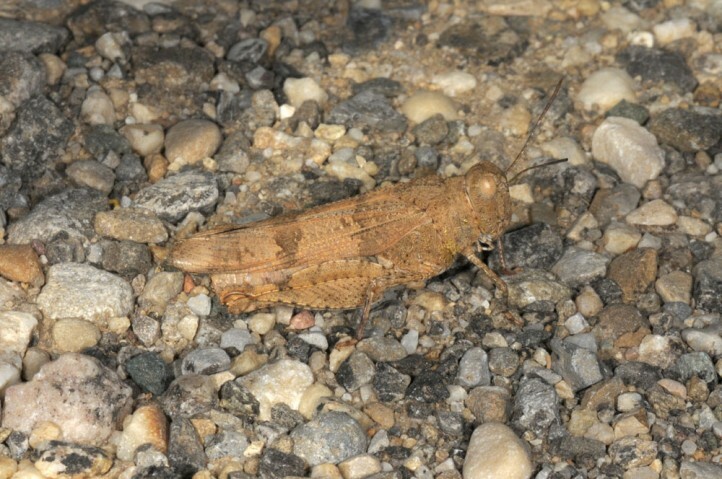 The adults appear from June to October or November. 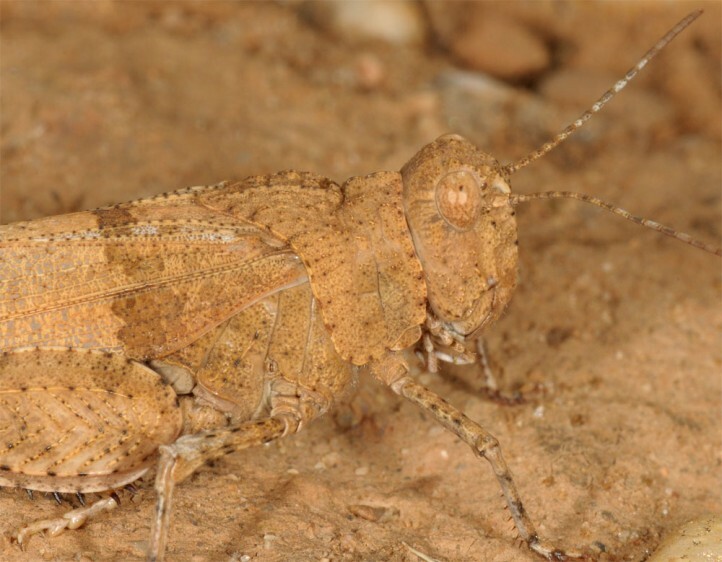 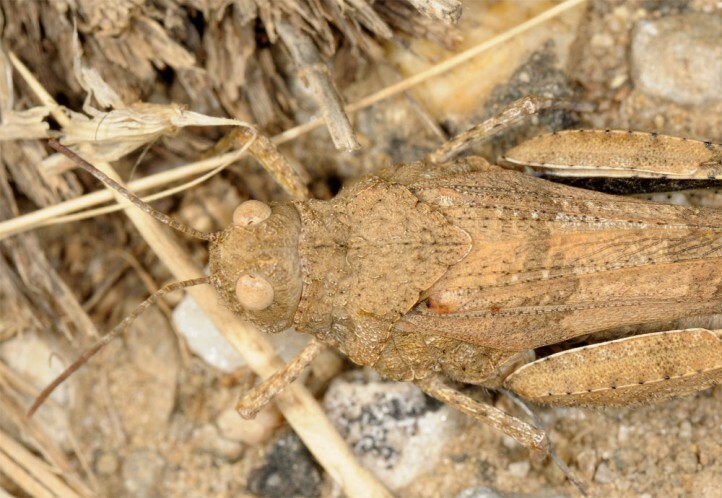 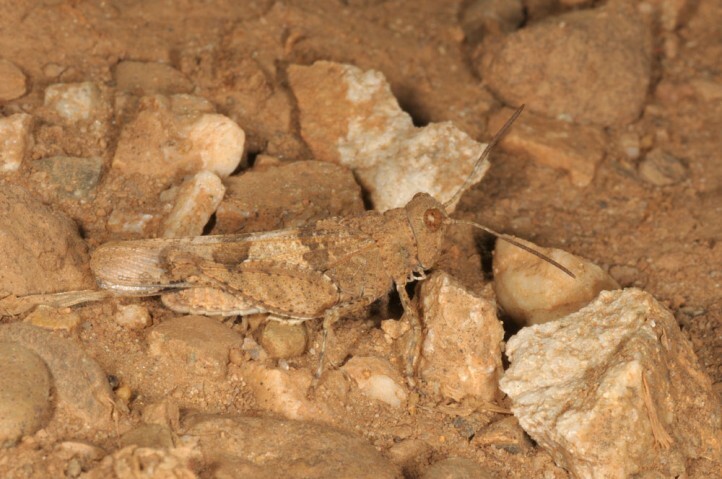 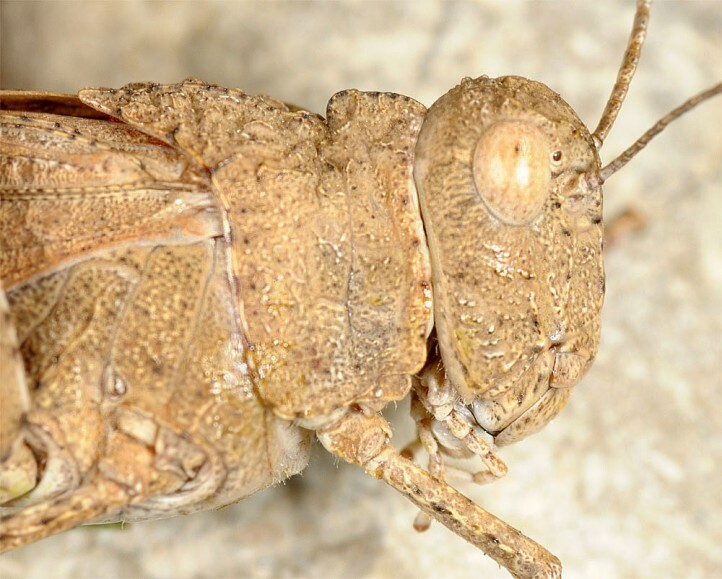 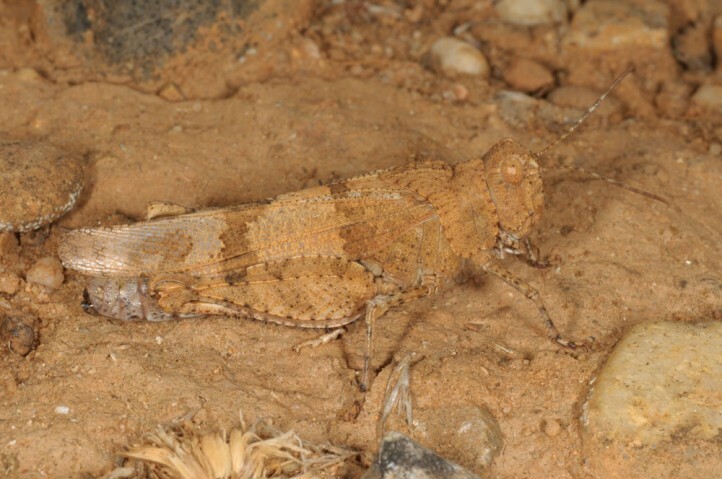 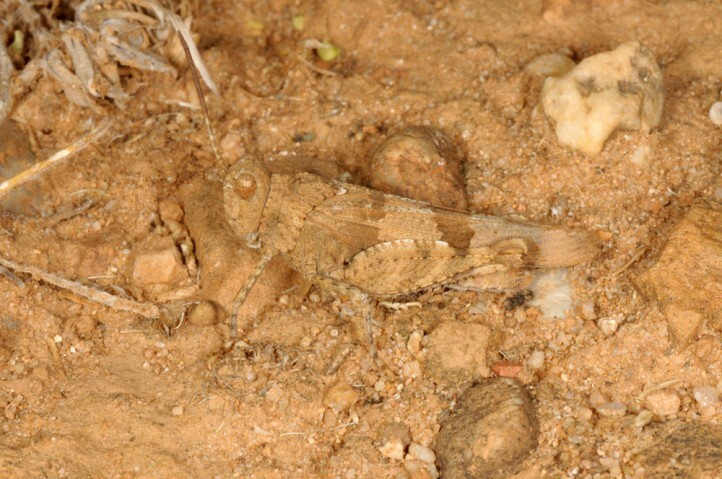 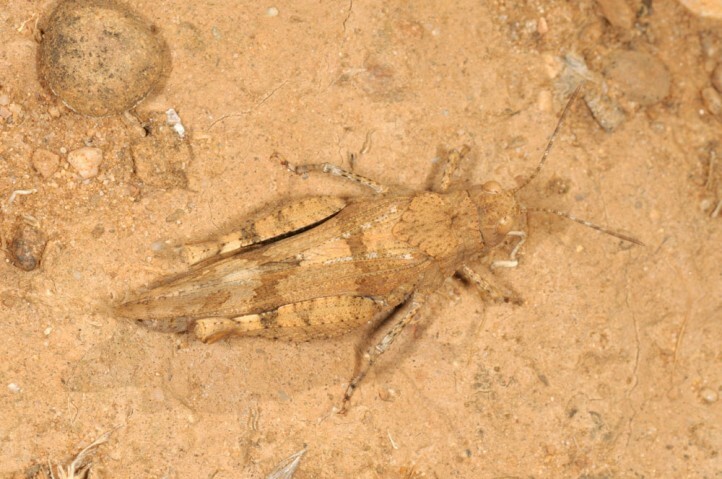 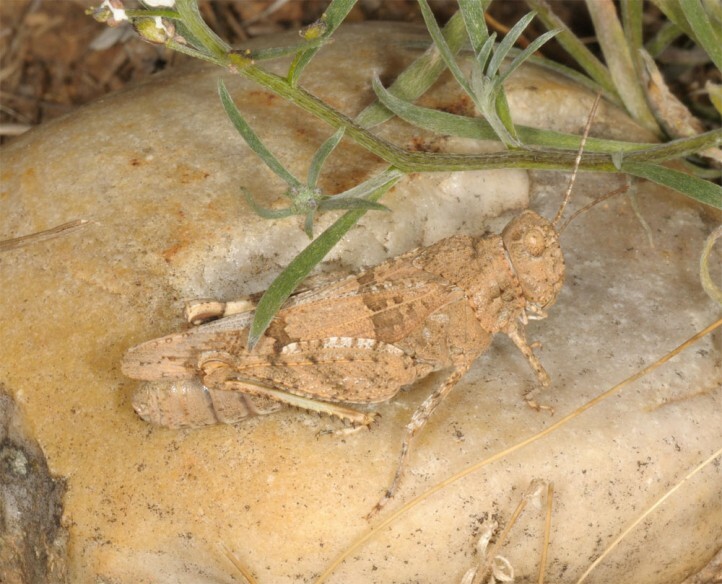 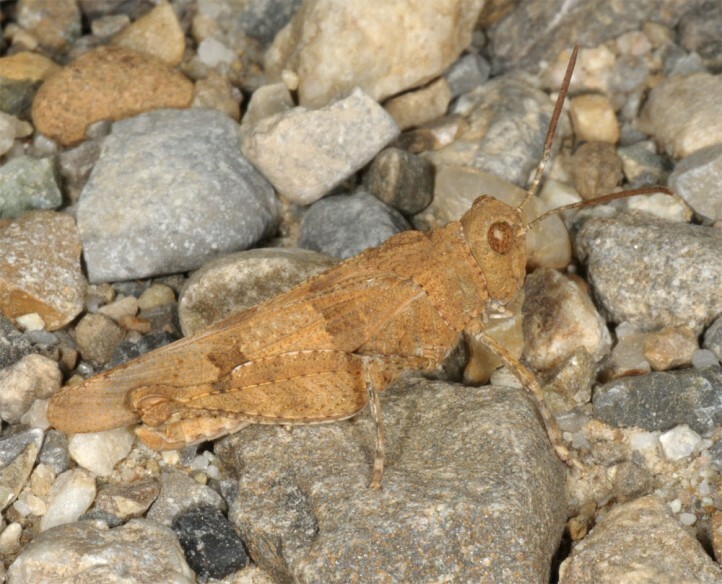 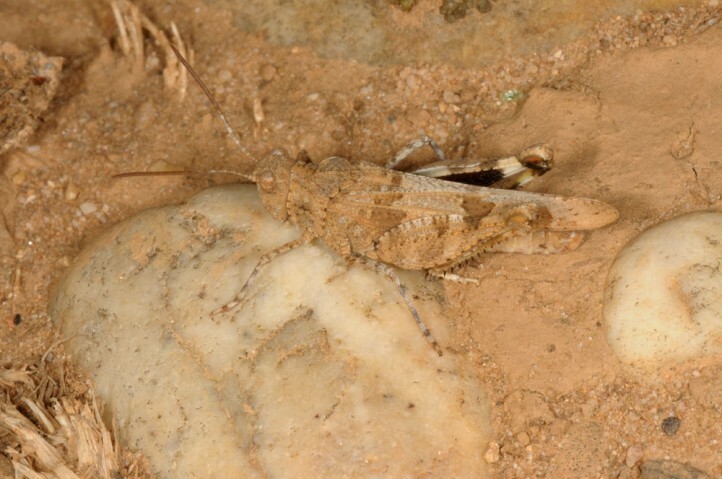 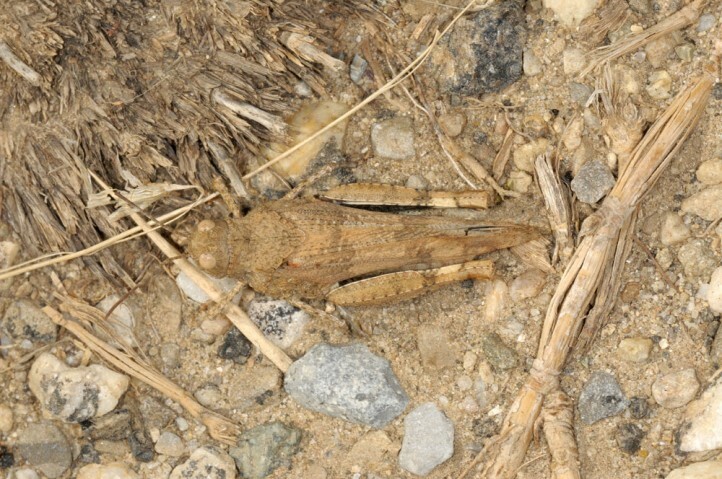 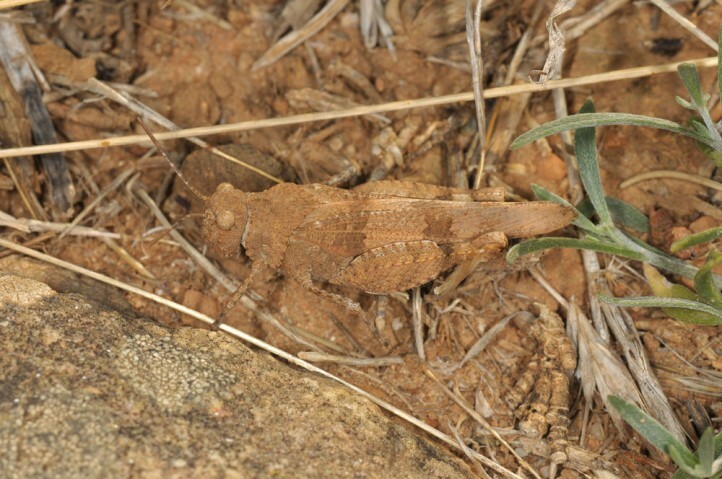 In the Iberian Peninsula Oedipoda charpentieri occurs - though locally distributed - in a large area. 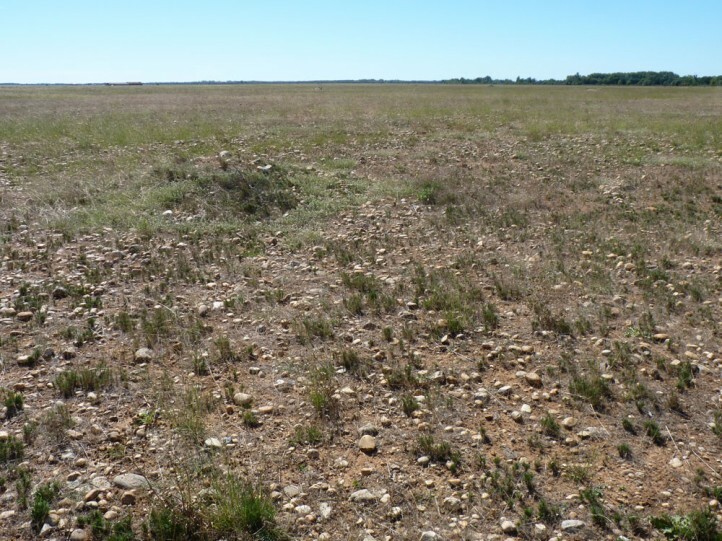 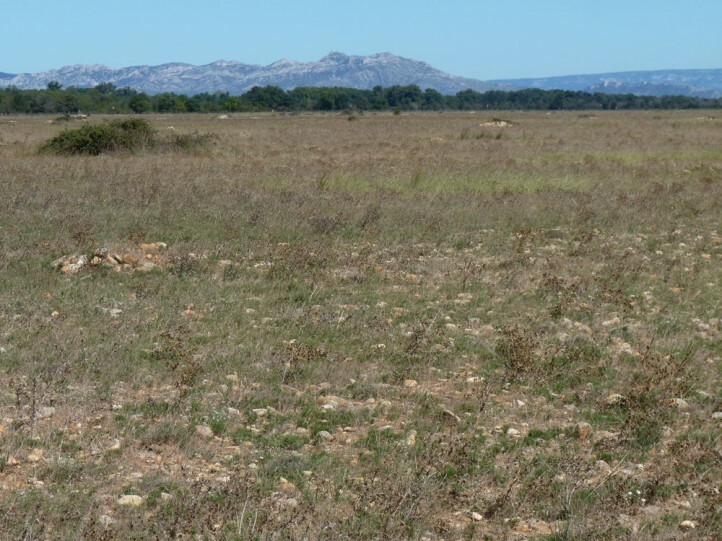 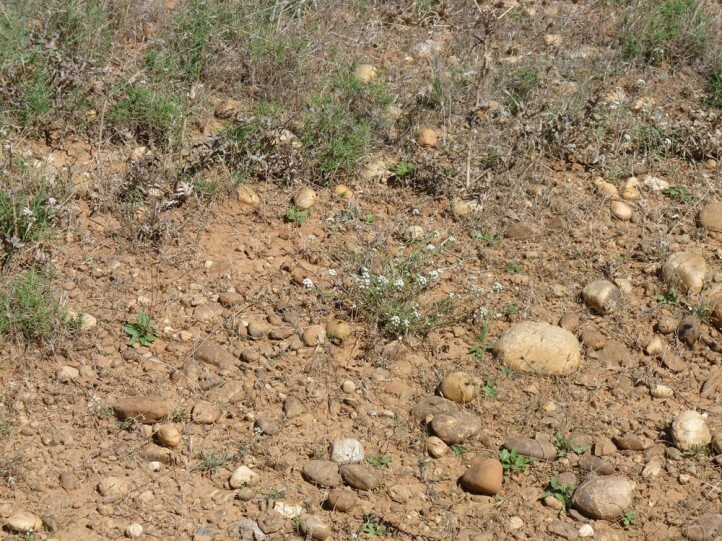 In southern France the habitats are scarcer. 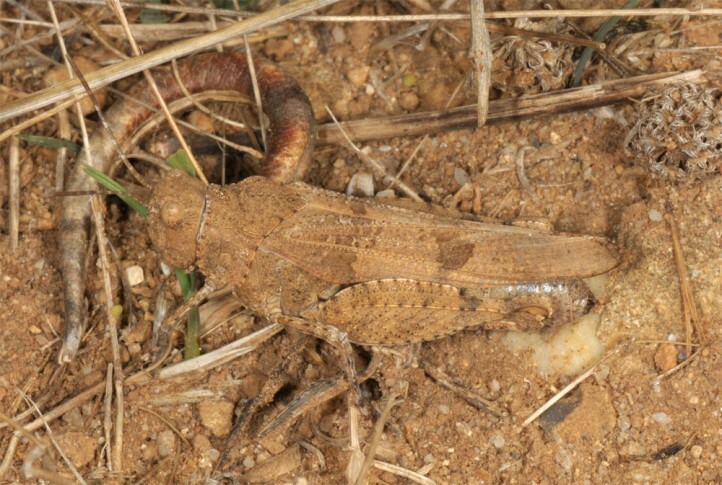 In its entire range Oedipoda charpentieri has already lost many habitats due to urban sprawl and especially agricultural intensification (e.g. 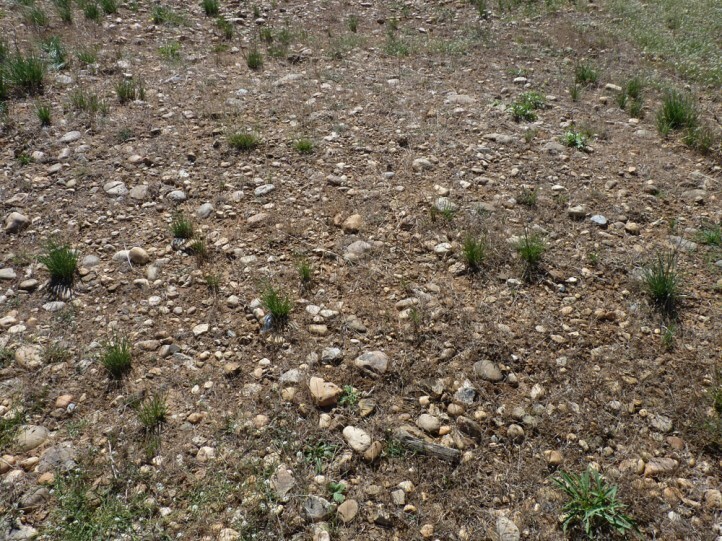 irrigation). 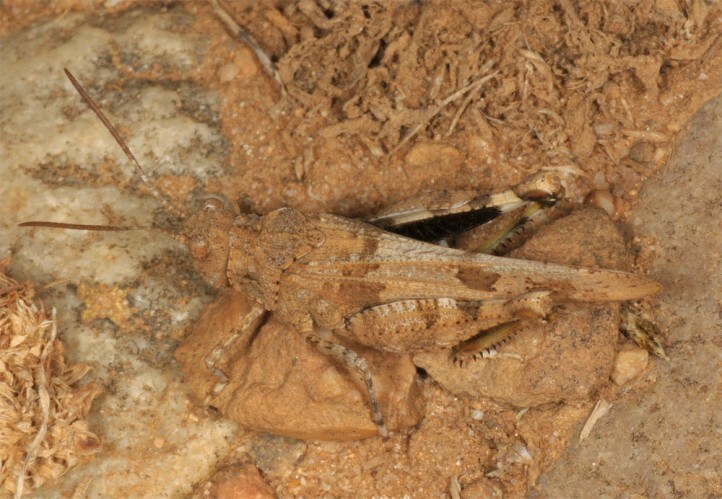 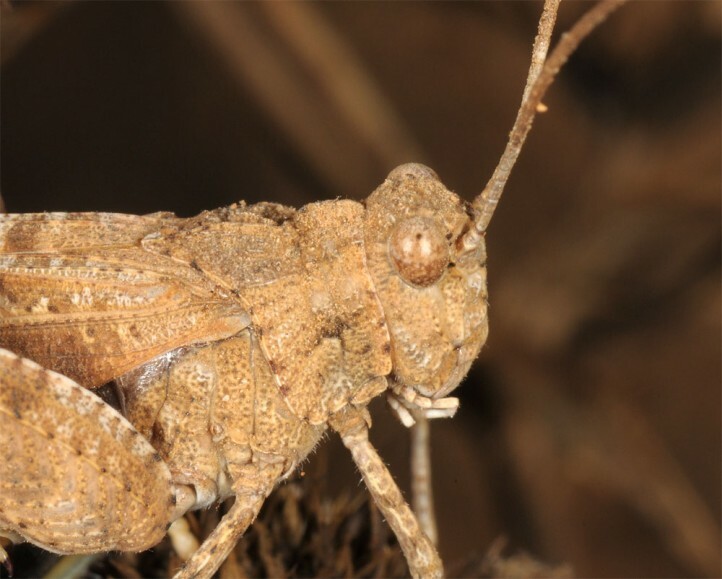 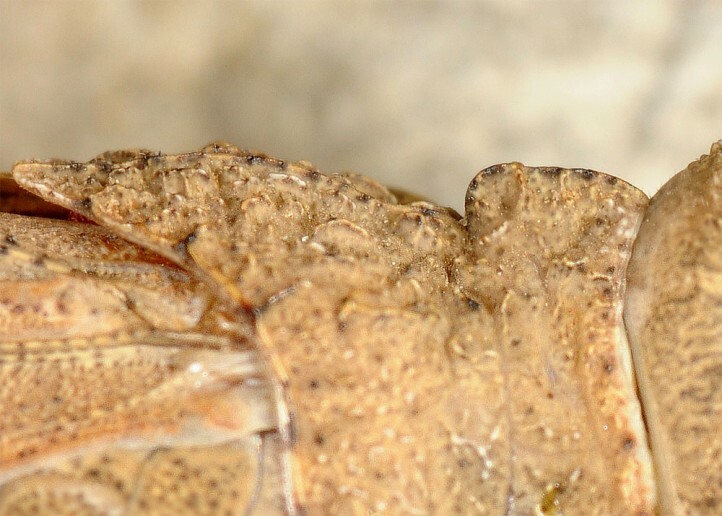 Oedipoda charpentieri occurs in SW-Europe: Iberian Peninsula (except the far North) and S-France. 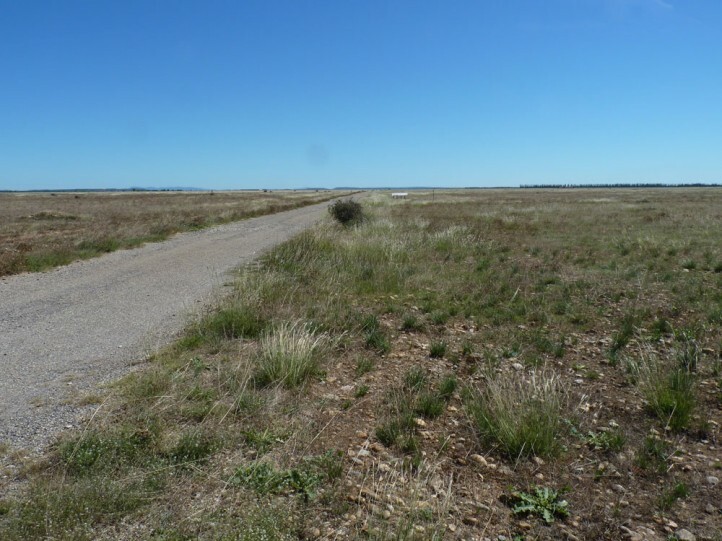 In France it is restricted to the Mediterranean bassin from the E-Pyrenees to E-Provence. 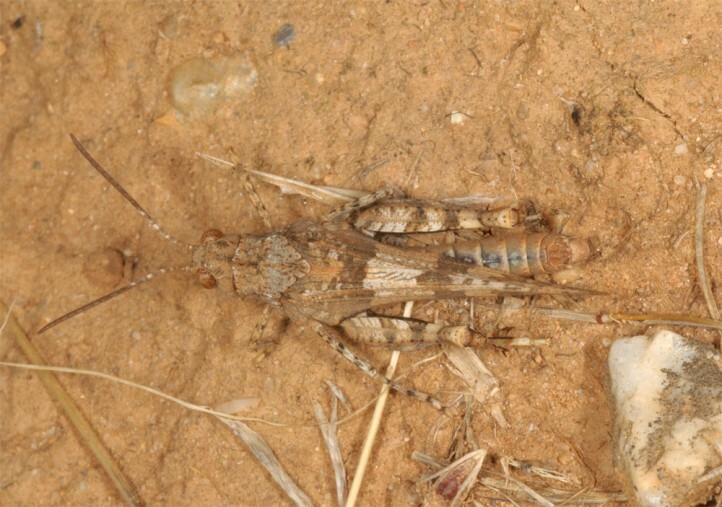 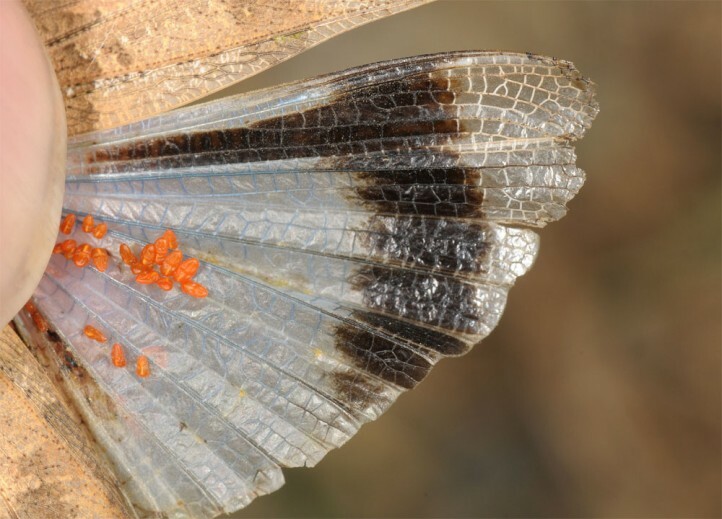 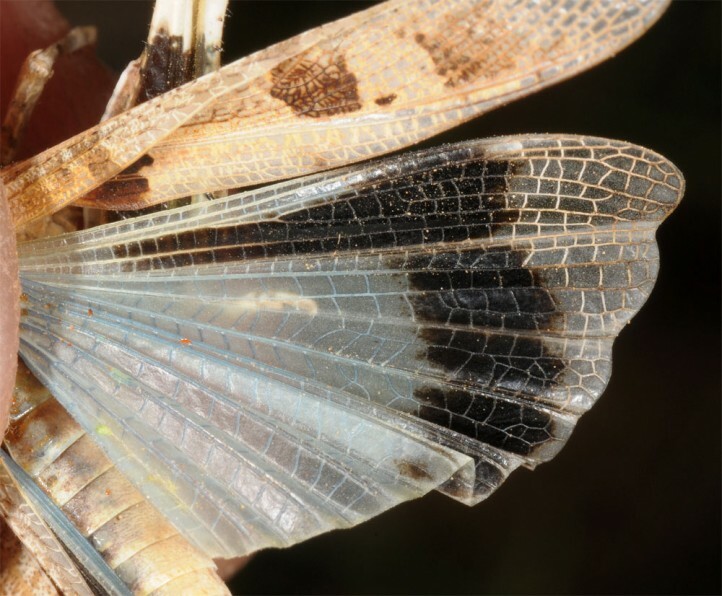 - The rear tibia are yellowish or brownish in Oedipoda charpentieri, but with blue in O. caerulescens. 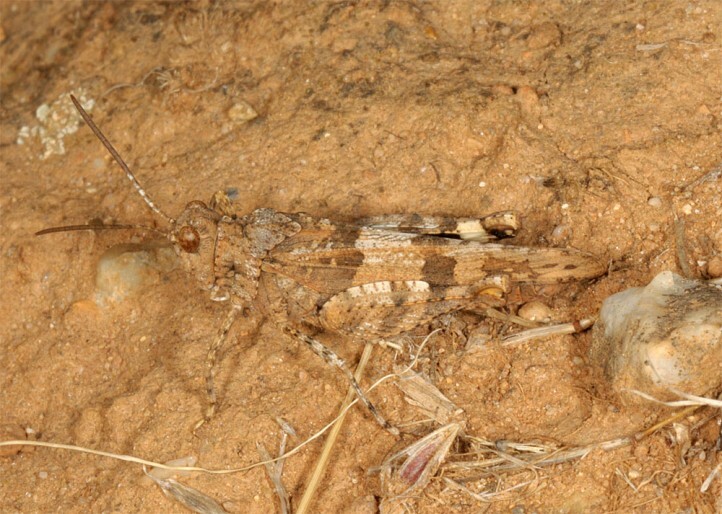 - Oedipoda charpentieri is shorter and thicker.